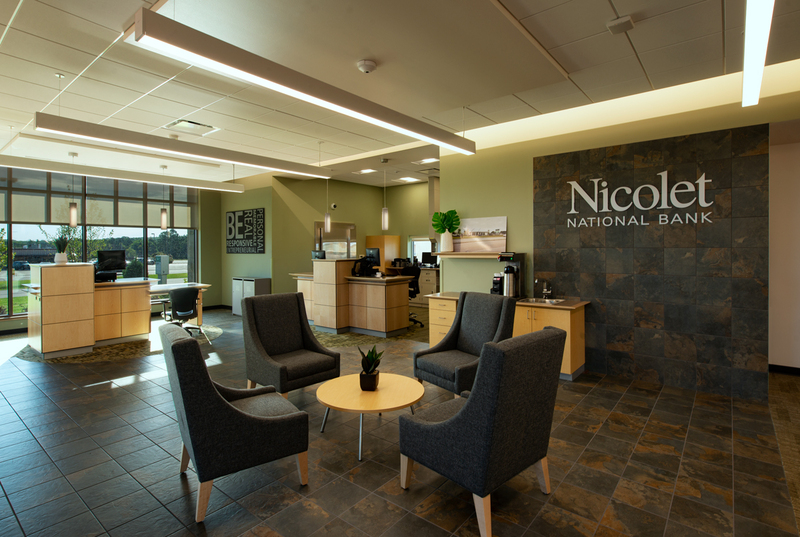 Ghidorzi recently constructed the new Nicolet National Bank branch in Rhinelander. 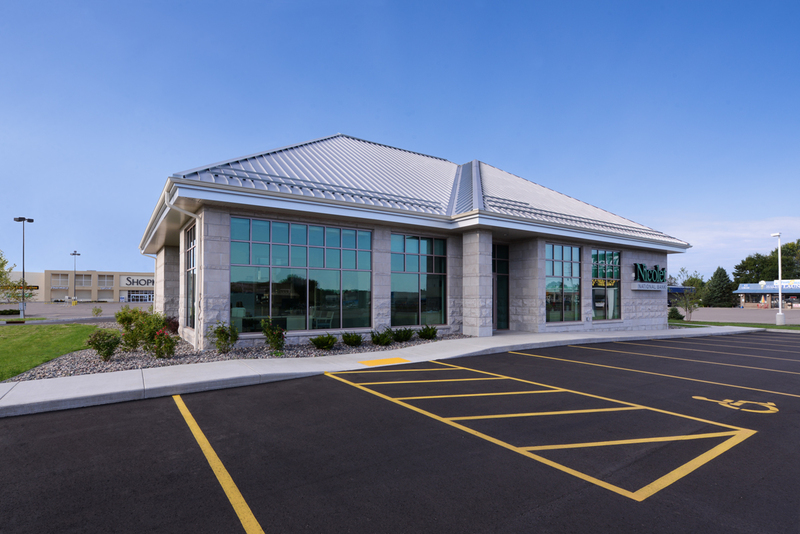 The 3,446 square foot facility is an investment in customers and staff that reflects the bank’s belief in the community and commitment to building long lasting relationships. Ghidorzi’s expertise in all phases of a project was a critical success factor from the very start where we facilitated demolition of the bank’s former space, setup of a temporary “bank in a box” mobile branch, customer traffic flow and construction of the new facility all within a very tight building site. 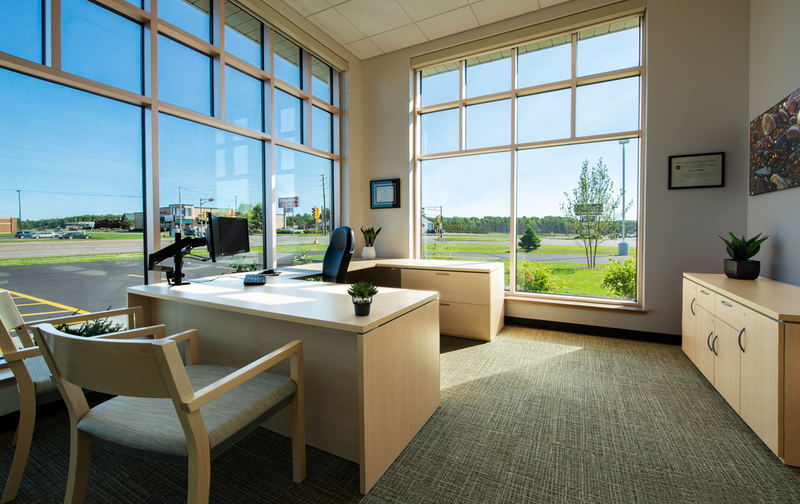 Our extensive experience building banks was an additional value add in coordinating the multiple vendors and volume of owner supplied equipment required of financial institutions. As with all Ghidorzi buildings, our seasoned carpenters performed the finish carpentry to ensure the highest quality touchpoints. We delivered the new branch on time and on budget, while supporting the bank in staying 100% operational to serve customers consistently from project start to finish. 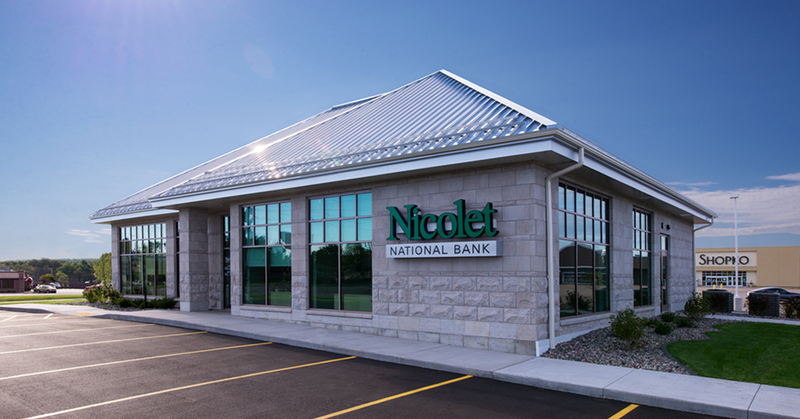 The new branch is located at 2170 Lincoln Street in Rhinelander. 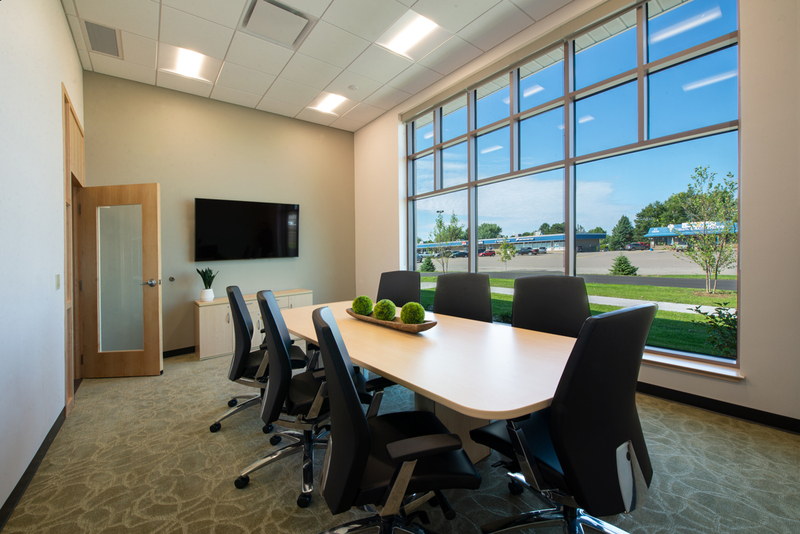 The building includes a spacious open concept lobby with a coffee bar, all new technology including teller pods, drive-through teller service, multiple offices and a conference room.